High Plains Press has been publishing a few books a year on Wyoming and the West for over twenty-five years. 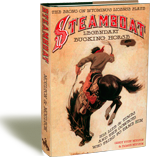 Their respected Old West histories have become classics and are their best sellers. Volumes in the High Plains Press Poetry of the American West series have won multiple awards competing against publishers of all sizes, among them five Wrangler Awards from the National Cowboy Museum and Western Heritage Center. 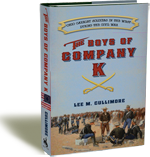 Their goal is to find readers who are enthusiastic about the west and to produce books that make those readers want to come back for more. Curtis is also the co-editor, with Linda Hasselstrom and Gaydell Collier, of three collections of writing by plainswomen published by Houghton Mifflin: Leaning into the Wind, Woven on the Wind, and Crazy Woman Creek. In 2011, Curtis was presented with the Governor's Arts Award by Governor Matt Mead for her work with literature and the arts.